While still a high school student, this growing interest in the sciences took her to Austin Peay State University, where she attended the state’s Governors School in Computation Physics one summer. That’s where Gulledge, whose senior class had only 60 students, learned about the incredible research opportunities available at Austin Peay. 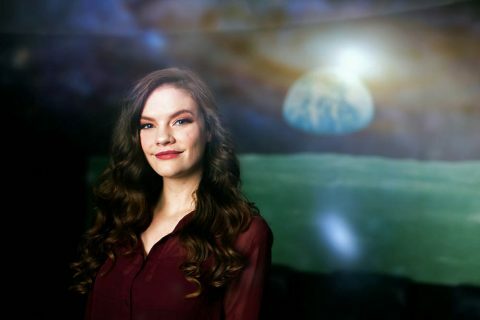 A year later, Gulledge enrolled at Austin Peay as a physics major, and in the last four years, she has traveled twice to the Cerro Tololo Inter-American Observatory, high in the Andes Mountains of Chile, to conduct research for the international Dark Energy Survey. This research has also taken her to Fermilab—the U.S. Department of Energy’s national laboratory— as an undergraduate research intern, and in January, lab officials named her Fermilab’s Scientist of the Week. Gulledge plans to graduate this May and continue on in graduate school next year to pursue her Ph.D. in astrophysics. And she credits Austin Peay with helping her achieve this goal. Before she leaves for graduate school, the former Governors School student will return to the program this summer as an instructor. And she’s excited about helping another budding scientist from Mt. Pleasant. “My baby sister got accepted this year, so I get to mentor her,” she said.